At HANNOVER MESSE 2019, Balluff GmbH is focusing firmly on the concrete benefits of Industry 4.0 solutions - based on IO-Link, industrial network technology, machine vision, industrial identification and the company’s proven sensor technology expertise. 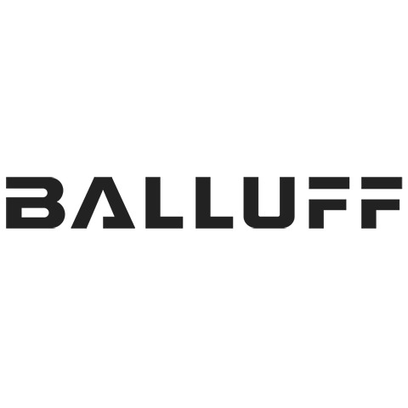 As a leading automation specialist, Balluff GmbH offers a comprehensive portfolio of innovative sensor, identification and network technologies, along with software for holistic system solutions. Now being run by the fourth generation of the same family, the company is using HANNOVER MESSE 2019 to exhibit products and applications that highlight the very real advantages of Industry 4.0 solutions - on the basis of IO-Link, industrial network technology, machine vision, industrial identification and relevant sensor technology expertise. Balluff's extensive machine vision range meets the fast-growing demands relating to productivity, flexibility and quality in production operations. It covers all kinds of object recognition, identification and quality assurance tasks, offering scalable solutions with one or more cameras. As a result, image processing experts are only required for particularly tricky issues. A sophisticated user interface is designed to enable regular staff to deal with the majority of requirements. The benefits of intelligent IO-Link sensors are another of the company's focal points at the show. The new photoelectric mini-sensors in the BOS Q08M and BOS R01 series are set to impress with reliable object detection and minimal space requirements. What's more, they are designed to enable simple and precise setting of the range and hysteresis directly via IO-Link, which eliminates the time-consuming adjustment of the sensor-object distance. These sensors also supply further details such as diagnostic data and hours of operation. A newly developed photoelectric multi-function sensor also demonstrates the benefits of IO-Link. It combines four photoelectric sensor principles in one device and makes it easy to switch between functions via IO-Link, depending on the object, to ensure the most reliable detection method is being used. The detection signals recorded are pre-processed in the sensor, which is designed to make life easier for the system controller and reduce the data traffic fieldbus systems have to deal with.